Juliet McMaster (email: juliet.mcmaster@ualberta.ca, a long-time member of JASNA, is the author of Jane Austen the Novelist and of books on Thackeray, Trollope, and Dickens, and co-editor of The Cambridge Companion to Jane Austen. She is University Professor of English the University of Alberta, and General Editor of the Juvenilia Press. Victoria Kortes-Papp is a Ph.D. candidate at Quebec City’s Université Laval, and is writing her dissertation on “Madness and Illness in the Writings of Frances Burney.” Her paper “Madness as Shelter for Feminist Ideas: Elinor’s Role in The Wanderer,” will soon appear in the journal Lumen. Ms. Kortes-Papp was a speaker at the JASNA Super-Regional Conference in May in Jasper, Alberta. She was also co-convenor of the 1999 JASNA AGM held in Quebec City. we present this paper as a dialogue between the General Editor of the Juvenilia Press, which is a pedagogical enterprise, and a student participant in the recent edition of Austen’s Evelyn written at about 16. We hope in this way to involve the reader in an ongoing learning process too, as we address the learning potential in annotating, introducing, and illustrating Jane Austen’s youthful writings. It’s a delight to hear this young author fantasizing, however playfully, about the “threescore editions” of her works, and their placement in libraries throughout the kingdom. Here writes the fledgling professional. The dedicatory letters to the juvenilia suggest to me that Jane made an original and separate version of each work, perhaps a little volume like those the Brontë children famously stitched together, before she copied them all into her Volume the First, Volume the Second, and Volume the Third. The patron who receives a dedication, surely, expects also to receive a copy of the book itself. Those little objects, if they ever existed, have been lost, by cousins and brothers with other things to take care of. But the Juvenilia Press has reincarnated them in a series of slender volumes that treat each work of Jane’s juvenilia separately, conferring an individual identity and full critical and scholarly attention on each, as we believe they deserve. These little books have certain advantages over the homogenised collections in Chapman’s volume of Minor Works or Doody and Murray’s Catharine and Other Writings. And in this process we involve young scholars, students who then suddenly find themselves, for all the lapse of years, in an intimate relation with this ebullient young author. The Juvenilia Press, as many Persuasions readers know, is dedicated to the recovery and editing of childhood works by major authors, and it is part of our mandate that students should participate in the editing process, working alongside more experienced scholars. We have published early works by big names, including Lady Mary Wortley Montagu, Charlotte and Branwell Brontë, Louisa May Alcott, and even a big living novelist like Margaret Atwood. In the pipeline are volumes by John Ruskin, Philip Larkin, Elizabeth Barrett Browning, and Katherine Mansfield. But Jane Austen has been our mainstay and our patron saint. Without Jane we wouldn’t have got off the ground, let alone published the twenty-one volumes the Press now has to its credit. And I’m proud to say that in the process of producing separate editions of nine of her delectable juvenile writings, we have benefited from the talents not only of the likes of Jan Fergus, Rachel Brownstein, and Peter Sabor, who have all edited volumes, but also from dozens of their students and mine, graduate and undergraduate, who have found in their editorial labours a unique angle on Jane Austen’s creative consciousness. 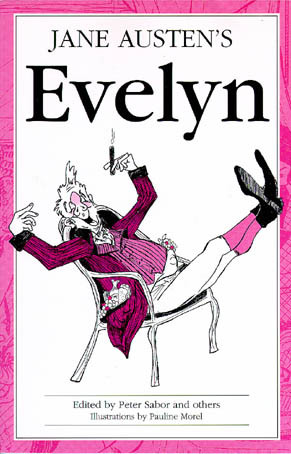 Evelyn, published in October 1999, is the latest Austen volume out from the Juvenilia Press. It was edited by Peter Sabor and a group of graduate students at Université Laval—the same team who also organized the memorable 1998 JASNA AGM in Quebec City. I now hand over the pen to Victoria Kortes-Papp, who wrote the Introduction to this wonderfully funny and irreverent narrative, and who writes of her own experience in the editing project. Victoria: It is rare to be asked to reflect on research in terms of process; but that is especially appropriate when considering the nature of Juvenilia Press publications, in which the learning process is a major motive for the publication. Besides our leader, Professor Peter Sabor, our research group working on the edition of Evelyn was made up of graduate students. Research experience varies among the members of our group, but we all have a commitment to scholarship that is not strictly limited to the framework of formal degree requirements. Yet once we started on the edition, each of us realized that this project would have us working in ways very different from what we had previously known. First, we quickly had to adapt to working together as an eight-person team, when usually we work individually, sometimes even competing with one another. We also had to learn to negotiate constructive criticism from and toward our peers, when we had been used to leaving critiquing to professors. Of course, for most members of our group, this was a first experience with having research published. With it came the kind of commitment every one needs to make in order to achieve the level of faultlessness that a published piece requires. We became aware of the responsibility that comes with publishing: that what we write is for many reading eyes, and has a greater permanence that what we were used to writing. We discovered that we had to find our own authority, and our own voice. Juliet: A particular part of scholarly discipline that students don’t usually get the chance to practise is annotation. And the annotation of a text of young Austen’s does lend itself to team work, since we can divide up aspects like literary reference, travel and coaches, dress and fashion, and so on, so that each annotator has the chance to become something of a specialist. When you move in to look very closely at a text, as editing requires you to do, you discover the need to think, read about, and ultimately explain innumerable references. Some will need explaining because the passage of time has made them unfamiliar: (What is pomatum, a pelisse, a phaeton, a Minuet de la Cour? ); some because they belong to Jane Austen’s English language, history and geography, not ours: what does Cockylorum mean, what is the origin of the phrase “at sixes and sevens”? Who were Perkin Warbeck, Jane Shore, Blair? Where are Brighthelmstone, Matlock, Dunbeath? All of these, with explanations as sought out by student annotators, appear among the notes in our editions. In the course of finding out the information, the students develop research skills, and presently a fuller intimacy with Jane Austen’s life and times. And there is a real art to providing an explanation that is brief, pointed, and interesting. Closer to home for students in English departments are the references to the literature that Jane Austen knew and referred to. The annotators of Love and Freindship and Catharine had to acquaint themselves, even if only slightly, with Burney’s Evelina, Eliza Bromley’s Laura and Augustus, Hannah More’s Coelebs in Search of a Wife, Charlotte Smith’s Emmeline and Ethelinde, and many others. Here there are more chances to make critical points about Jane Austen herself, because in following through her literary references one learns to put together something like a map of her cultural range of reference. The student who composes such a note is primed to appreciate Austen’s further Gilpin-related jokes in the novels; for instance Marianne’s “passion for dead leaves” (SS 88), or Elizabeth’s cheerful refusal to join Darcy and the Bingley sisters in the shrubbery at Netherfield, because the three of them are already “charmingly group’d,” as she says, and a fourth would spoil the picture (PP 53). The notes on Gilpin can touch on this development, and so demonstrate a connection and coherence in Austen’s developing position on an important aesthetic idea of her day. A lot of relevant information about Austen’s instinct for humour is packed into such a note. The pathos intended in Laura and Augustus collapses into burlesque as fourteen-year-old Jane fouls up the classical references, substituting Jupiter’s thunderbolts for Cupid’s arrows, and introducing items like legs of mutton and cucumbers, which in a context supposed to be pathetic can never be anything but funny. If parody is a dominant mode in the juvenilia, and carries on to Northanger Abbey and even to the late fragment Sanditon, it is also present in Emma, though in more subtle form. Emma Woodhouse doesn’t confuse her life with a Gothic novel, as Catherine Morland does; but she still bases her interpretation of reality on fictional precedents, believing, for instance, that a girl always falls in love with the man who rescues her (hence that Harriet must be in love with Frank Churchill, and Jane Fairfax with Mr. Dixon); and that any girl of mysterious origins must turn out to be of noble birth (ergo that Harriet is a fit bride for a gentleman). Reading was so vivid an experience for Jane Austen herself that she delights in recording the errors of those who mistake fiction for real life. So it is intriguing to trace her steps through the literature which produced impressions so indelible, and to record her parallels and parodies in our literary annotations. Annotation is an exercise that promotes a full and informed appreciation of how much in the way of allusion, connotation and pure brilliant wit is packed into the prose of even the teenage Jane Austen. The last kind of annotation of the juvenilia I want to talk about is those notes that connect her present prose not with the works of others, but with her own mature fiction. In A Collection of Letters, for instance, we encounter names we’ll meet again, such as Willoughby, Dashwood, and Crawford. There is also a domineering titled woman, Lady Greville, who is clearly a trial run for Lady Catherine de Bourgh. “I always speak my mind,” as the note informs us, is a speech common to both characters (Collection, 34, n.25). Such direct parallels can be signalled quite briefly and crisply. When drawing attention to a recurring motif in the novels that first appears in one of the juvenilia, however, we permit ourselves more range. The irresponsible Edward Stanley in Catharine kisses Kitty’s hand merely to exasperate her puritanical aunt; and he thereby furnishes occasion for a mini-essay on the kiss in Austen’s novels. A note like this, which connects the kiss in Catharine to Pride and Prejudice, Emma, and the movie versions, requires an extensive and intimate acquaintance with Austen’s work and its adaptations. That’s what our editing process is aiming for. And now back to Victoria, to tell us more about introducing Evelyn, and its connections with the novels, especially Emma. Victoria: Evelyn, the first of two stories of the solemnly entitled Volume the Third, was written in 1792, when Jane Austen was sixteen. On first reading it, I was struck by what must strike everyone who is introduced to it: the unconstrained imagination of its youthful author. The story opens with Frederick Gower entering the village of Evelyn, which he has never before heard of, much less visited. From the moment of his arrival he is drawn to all he sees, to the point that he feels that he is incapable of ever leaving it again. Just as instantaneously as Gower forms his attachment, a rift is produced between him and the reader, as the very elements that attract Gower make us wary. What epitomises Evelyn’s reality is a consummate symmetry. We note through Gower’s eyes how everything is of an even, “regular” shape. As he makes his way to the home of the Webbs (who will soon become his in-laws), we notice their perfectly circular grounds, with their home located at the “exact” centre. Their trees and rosebushes are placed with geometric exactitude; even the four white cows collaborate in perfecting the setting by grazing at equidistant intervals so as to complete the symmetry of the scene. The rest of the ground remains “unincumbered” by any irregularities such as mother nature so often commits—in lesser towns, of course. On Gower’s graciously accepting the fortune, the Webbs instantly self-evict themselves, and the very next morning Gower and Maria marry. The reader can perceive that the reality Gower encounters in Evelyn, from the moment of his entering it, is one that meets, even anticipates, his needs. The total surrender to his whims on the part of everyone in the town, matched with the surrealism of its symmetry, brought me to suspect that more than anything, Evelyn’s very reality is one that stems from Gower’s imagination, making Evelyn precisely what Patricia Meyer Spacks calls “an especially interesting example of the plot of narcissism” (129). Consequently, beyond the strikingly comical scene, Austen creates something of a conundrum: how can the world of Evelyn be viable when it is created completely from the self-gratifying fantasies of a highly egotistical man, and a fairly unimaginative man at that? In fact, the youthful Austen did not find an answer. As we read further into her narrative, we witness Gower having a momentous first unselfish thought: he remembers an errand he should have performed on behalf of his favourite sister. With this first thought outside his own pleasure, and beyond the complete self-centredness Evelyn provides for him, Gower’s world starts to collapse. It is at this crucial point, at the brink of Gower’s (and therefore all of Evelyn’s) identity crisis, that Austen leaves off writing, with what must have been the realisation that Gower is a character that cannot be sustained. The Austen family member who wrote the completion of Evelyn4 was also left to contend with what could be done. As for reconciling Gower to his new reality, the attempt falls short. Despite the facts that Austen’s own part of Evelyn remains a fragment, and that she was unable to bridge the chasm between the unfortunate post-narcissistic Gower and the wholly-Gower-centred reality of Evelyn, there is much that is compelling in reading and studying Evelyn. And in my task of introducing this early fiction, I found that Austen’s later works do serve as a compass in what otherwise might seem chaotic goings on. I set about discovering some of Gower’s self-centredness in subsequent protagonists. Obvious choices were Catherine Morland and Elizabeth Bennet, and once I isolated self-centredness in them, I let myself paint in broader strokes, perhaps a little as a caricaturist would. My search for Gowerisms proved even more fruitful in Sense and Sensibility’s Marianne, and of course in Emma Woodhouse. In light of these heroines, I could see Gower’s egotism as less extraordinary. Egotism, after all, can be perceived merely as part of the complexity of an immature self. I was then better able to see how in her early work, the youthful Austen found, isolated and explored a natural and legitimate fantasy common to us all, especially to the young adult, who can so well imagine a reality that moulds itself to every wish and whim. But as Emma encounters more of the world, she inevitably comes face to face with situations that are at odds with how her imagination would have it. In due time she is made to confront uncongenial facts: Mr Elton is not the least smitten with Harriet Smith; Jane Fairfax and Mr Dixon prove unwilling to be secretly in love, and so on. But unlike Gower, Emma sees the need to adapt, once she is confronted with some of the implications of the chasm between her own view and the reality of situations around her. She faces the fact that she “had taken up [an] idea ... and made everything bend to it” (134), and that now it is her ideas that need to bow to what is really there. Emma has a supremely Goweresque narcissistic example set her in Mr. Woodhouse, who constantly expects reality to match his imagination of it: if he dislikes late nights, he cannot imagine how anyone might like them; if he has a partiality for gruel, so, his logic runs, must everyone. When, inevitably, the world cannot or will not conform, he is profoundly pained, and he does not have the inner resources to adjust. Emma and the rest of Mr Woodhouse’s Highbury entourage understand his limitations, and they do their best to have the world around him meet, as seamlessly as possible, his inner vision. Despite her father’s example, indeed because of it, Emma opts otherwise. Her resolve is made conclusive in her choice of Mr Knightley as her life partner, “one of the few people who could see faults in Emma Woodhouse, and the only one who ever told her of them” (11) —someone completely unlike the partner Frederick Gower would choose for himself, and one whom, we imagine, only the more grownup Emma can welcome as an equal. Juliet: As the author of the Introduction to the Juvenilia Press Evelyn, Victoria had the chance to develop her critical skills and develop the parallels between Austen’s early and later writings—as other members of our teams have honed their capacity to track down recondite historical facts and literary analogues for the purpose of writing explanatory notes. The last aspect of our project I want to touch on is illustration; for this too furnishes a way into Jane Austen’s world. Except for The History of England, which comes with Cassandra Austen’s charming portraits of monarchs (drawn in little circles traced around a half-guinea piece), her books initially came without pictures. The Juvenilia Press has changed all that. Illustrators like Hugh Thompson and C.E. Brock may have preceded us with the finished novels, but we take the juvenilia to be open territory for the many closet illustrators who are apt to lurk in English classes. Our books have pictures, and many of them. There is considerable potential for period research in the process of illustrating Jane Austen’s juvenilia, as our student illustrators too have discovered. As General Editor I am certainly less exacting about accuracy in this context than in the annotations. But the learning process in the creation of our editions extends to the graphics as well as the letterpress. Our illustrators do their homework in period architecture, coaches and travel, and particularly dress and fashion. Lesley Castle includes images of Whitehall Palace, Montagu House on Portman Square, and even Bristol Hotwells, which was long ago demolished. And we are keen on maps. In her juvenilia young Jane never confined herself to those 3 or 4 families in a country village: she sends her characters to the Lake District in England, Gretna Green and castles in Scotland, and the Vale of Usk in Wales. Our maps keep our readers au fait with this geography. 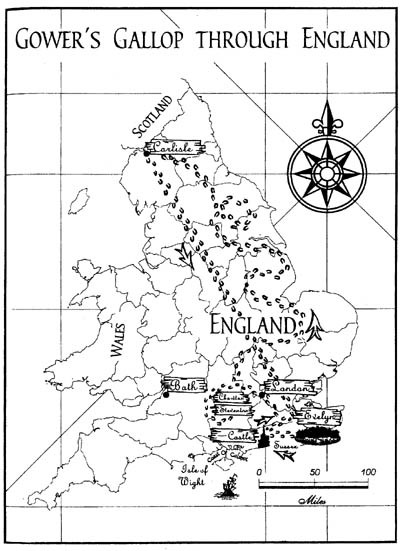 The map for Evelyn (Figure 3) shows Gower’s journey as traced by his horse’s hoofprints. You see that the readers of adventure fantasies like Tolkien’s Lord of the Rings would be right at home with our books of Jane’s juvenilia! And our participating editors, among other things, get a crash course in British geography. Research and critical thinking have undoubtedly gone into all of this. But I confess our illustrations are mostly for fun: as witness Pauline Morel’s joyous cover drawing of the totally self-indulgent Gower (Figure 4). Figure 4. The cover of Evelyn. Illustration by Pauline Movel, design by Winston Pei. And the fun we have in producing our scholarly editions of Austen’s outrageously comic juvenilia may be the best teaching and learning process of all. 1. We use the Chapman edition of Austen’s six novels, but since this is a paper about the volumes of the Juvenilia Press, references to the juvenilia are keyed to those volumes rather than to Chapman. 2. “Biographical Notice” to Northanger Abbey. 4. See the “Note on the Text” to the Juvenilia Press edition of Evelyn, where Peter Sabor presents an innovative and insightful analysis of the authorship of the completion. See also his “James Edward Austen, Anna Lefroy, and the Interpellations to Jane Austen’s ‘Volume the Third,’” forthcoming in Notes and Queries. 5. 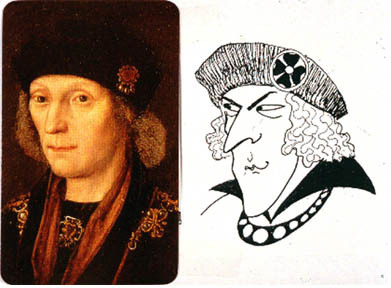 See Jan Fergus’s Introduction to the Juvenilia Press edition of A History of England, ii-iii. Austen, Jane. Catharine, or the Bower. Ed. Juliet McMaster and others. Edmonton: Juvenilia Press, 1996. _____. A Collection of Letters. Ed. Juliet McMaster and others. Edmonton: Juvenilia Press, 1998. _____. Evelyn. Ed. Peter Sabor and others. Edmonton: Juvenilia Press, 1999. _____. Henry and Eliza. Ed. Karen L. Hartnick and others. Edmonton: Juvenilia Press, 1996. _____. 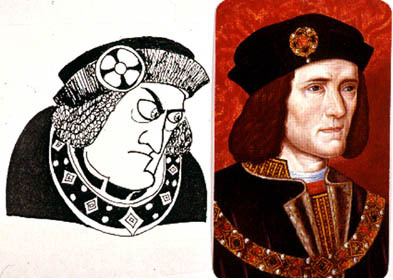 The History of England. Ed. Jan Fergus and others. Edmonton: Juvenilia Press, 1995. _____. Lesley Castle. Ed. Jan Fergus and others. Edmonton: Juvenilia Press, 1998. _____. Love and Freindship. Ed. Juliet McMaster and others. Edmonton: Juvenilia Press, 1995. _____. The Novels of Jane Austen. Ed. R.W. Chapman, 5 vols, third edition (London: Oxford University Press, 1933), reprinted with revisions 1969). McMaster, Juliet. “From Laura and Augustus to Love and Freindship.” Thalia: Studies in Literary Humor. 6: 1/2, 16-26. Sabor, Peter. “James Edward Austen, Anna Lefroy, and the Interpellations to Jane Austen’s ‘Volume the Third.’” Notes and Queries, 245 (2000), forthcoming. Spacks, Patricia Meyer. 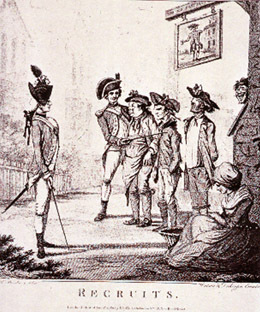 “Plots and Possibilities: Jane Austen's Juvenilia.” Jane Austen's Beginnings: The Juvenilia and Lady Susan. Ed. David J. Grey. Ann Arbor: U.M.I. Press, 1989. 123-134.